Good work.. Very well designed.. 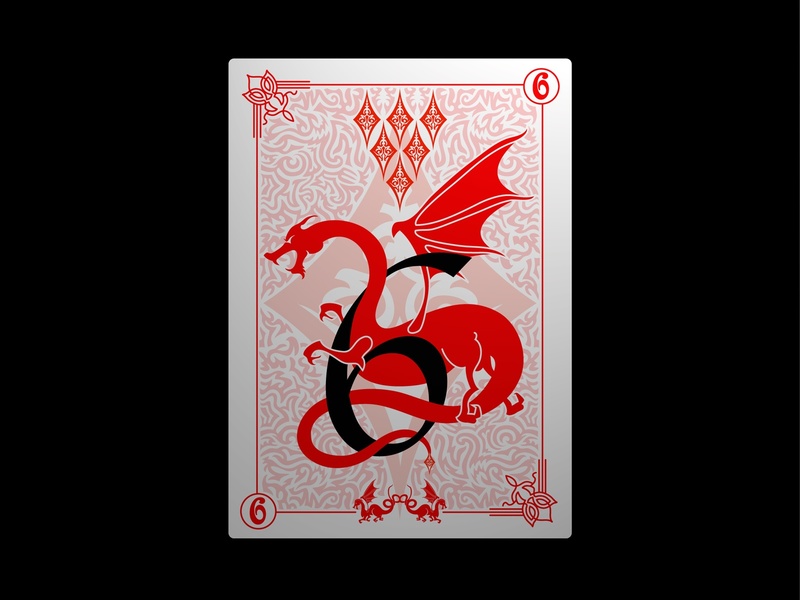 This is nice, I'd love to see the whole deck...I love the way the dragon is wrapped around the six..that is sooooooooo good!! Both are absolutely stunning. I think the bolder larger design in this appeals to me more and the black six offers a bit of contrast. Top work. hmm im not sure which one i prefer! but i must say they both are of the highest quality! the dragon image is a good focal point, but the pattern intricacy off the other card really grabs my attention too! I really like this groo- in fact I like both of them alot. :) I think in the end I prefer this one because of the awesome artwork with the dragon... sweet. oooh this is very cool...can't wait til the deck is finished! I love dragon, I like this one the best. There is room for improvement on the dragon, I suggest making it a bit more intricate to attract more attention to it or just to have it blend in a little better, because the thick solid red doesn't fit in very well with the rest of the designs. Gorgeous peice of work, though! MUST...HAVE...DRAGON! I love dragons..Do you think that you could do some more things with them in them? Anywho great work. One of my favs.. So what if I leave awesome but oddly random comments. I'm 12 years old, what do you want? Hello Rob....Nice design work from you.....The red dragon has long been associated with the country of Wales. It is the mark of bravery and victory....Well done....All the best...Mick.